With the onset of the financial crisis, the private equity industry saw a significant drop in the value of new deals and exits being made. Although there has been improvement in the value and volume of deals being made recently, it is still a long way from the record-breaking deals that were seen in earlier years. However, on a road to recovery, in such competitive times, the ability of fund managers to effectively source, manage and execute deals has become more important than ever. The pressure on firms to put capital to use along with the rise in the number of active players in the market has made it more challenging with competition so intense. To be successful, companies need to have a great network in the industries that they specialize in and a great reputation in the markets. Deal Sourcing firms agree that the ability to source deals through proprietary channels and form strong relationships with potential acquisitions at an early stage is more important than ever as it improves a Venture Capital on Private Equity Firm’s ability to differentiate themselves from the competition. The most common sources of deals are personal and business networks. Personal relationships are of the utmost importance when it comes to sourcing and winning deals. The competition rises everyday and the influences that networking and personal relationships can have on the ability to effectively source deals is certainly changing. Effective management of these relationships is imperative – CRM systems are considered a valuable tool for efficient relationship management. As changing attitudes to working practices is never straightforward, it is essential that firms are implementing the right kind of software that can be integrated into current working practices in order to effectively utilize the full potential of CRM. Utilizing CRM systems especially for logging meetings, phone calls, emails and maintaining client contact deals and marketing purposes is extremely important. For firms operating in today’s business world, it will be vital that their existing practices in managing relationships and sourcing deal flow are regularly assessed in order to ensure that they remain best practice. 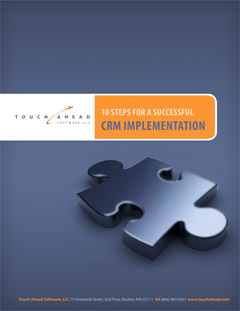 Firms are seeking CRM as a means of leveraging networks and relationships, helping them to move quickly and better organize their deal flow opportunities. In such a competitive market, a deal sourcing CRM could certainly prove to be an effective tool in providing the extra insight necessary for firms to make better decisions more quickly. This entry was posted in Blog and tagged Deal Sourcing, improve your business, Private Equity CRM, Private Equity CRM Solutions, Venture Capital CRM. Bookmark the permalink.